October was a spooky month for SEOs. There were bugs in Google’s reporting tools, advances in AI technology, and the death of an old friend (Google +). Here are the top changes in Google in October of 2018. Google + Local – There were many years where a Google business listing was directly tied to a business Google+ account. This influenced how your information showed up in Local search results, Google Maps results, reviews, videos, and social posts. Google has been decoupling and transitioning this to the new Google My Business dashboard over the past couple years, but there were always questions on whether or not Google+ still held value from a local perspective. Google +1 Buttons – At one point, these +1 buttons were all over the web. In theory, a +1 would be a vote for the quality of the page by a user, and Google used it as a ranking signal. Google + Authorship Tags – Early in the days of Google+ there was a way to mark up an author’s Google+ page to give them credit for writing a blog and it would display their profile picture right in search results. Google My Business now shows you branded searches in Google My Business. 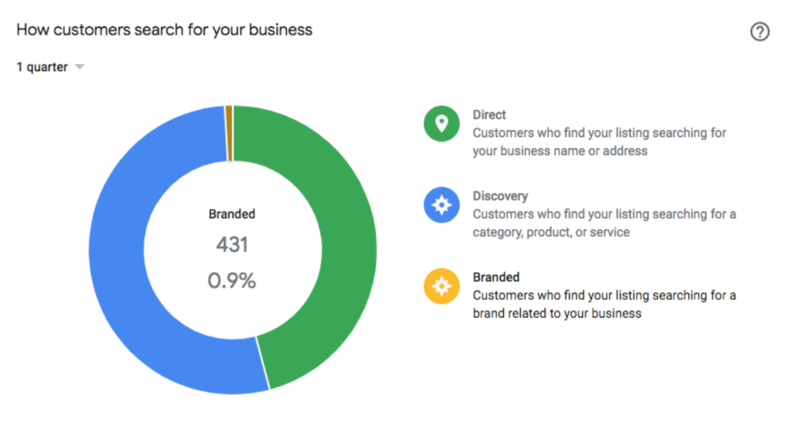 This can help you monitor your performance on Google My Business and local results by segmenting how many users found you through searching for your services or by searching for your branded terms. There was some chatter about a late September algorithm update in Google Searches. Google is now routinely updating their algorithms more and more, which will continue to impact a small number of search results. Google confirmed this update, but didn’t specify which type of sites or results were impacted.